Tagged Blending, Compass Box, Hedonism, Whisky. 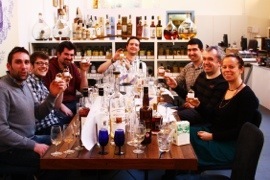 What a day we had in West London – 7 hours spent in the company of Gregg Glass (Assistant Whisky Maker for Compass Box), 7 hours tasting and blending using only the best of ingredients. Over the next couple of weeks we’ll share our thoughts on the Compass Box core range and also our notes on the rarer stuff including the Last Vatted Malt and Grain – both of which were stunning! 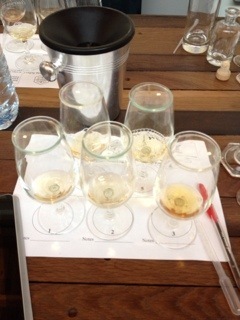 Today though we’re focussing on the blending element of the day – our very own blending masterclass. A 15 year old single cask grain whisky from Cameronbridge; stunningly sweet on the nose with bags of vanilla and candy floss coming through strongly. Salty and sweet on the tongue too. This was the only grain out of the five and really illustrates the quality of casks that Compass Box have. This malt was aged for 10 years in bourbon barrels and was essentially a ‘naked Oak Cross’ so no additional maturation or finishing had been employed. The nose was a ‘love it or hate it’ amongst the group with a really strong biscuity smell (primarilly hobnobs) coming through strongly upon nosing. This whisky was special; 14 years spent in French oak casks gave such a rich hue that we all mistakenly thought was heavily sherried. Described as ‘Spice Tree on steriods’ by one of our group, it had lots of prunes, plums and stewed fruits on initial nosing. The taste backed this up, it was heavy, rich and sweet. Stunning. The nose was smoke, smoke and more smoke. The whisky was a 12 year old from Port Askaig on Islay and it had been in American oak cask for all of its life. The taste was what you would expect, sooty, more smoke, big and domineering. The challenge was going to be how to integrate it into the blend we were going to create. I had a clear idea of what I wants to make. I wanted to be selective and only use two or three of the whiskies to really try to keep their character and allow each of them to shine. I like big sherried and smoky whisky so I really wanted to use whisky’s four and five. Compass Box first introduced me to the wonders of grain whisky so I wanted to use one in homage to that. After much tasting, tweaking and more tasting I’d decided that it was actually quite tricky to use the Islay malt in the blend as even a couple of drops impacted the blend too much -for me the whisky dominated the blend in a way I didn’t like. I decided to use the French Oak aged whisky instead and played some more. My first sample bottle was ready and contained 20% Whisky One, 40% Whisky Three and 40% Whisky Four. If I can say so, it wasn’t bad, however there was too much of the French Oak coming through for my liking so I changed the quantities for the 10cl bottle that I would hand wax before taking home. My final blend was made up of 25% Whisky One, 25% Whisky Three and 50% Whisky Four. Cheekily named the ‘Vatted Blend’ it is dark and heavy, but with a hint of vanilla from the Cameronbridge. Full notes will follow as it needs at least a few weeks to marry in the bottle before being at its best. Entering the offices of Compass Box was like entering an Aladdin’s cave for a fan of whisky. 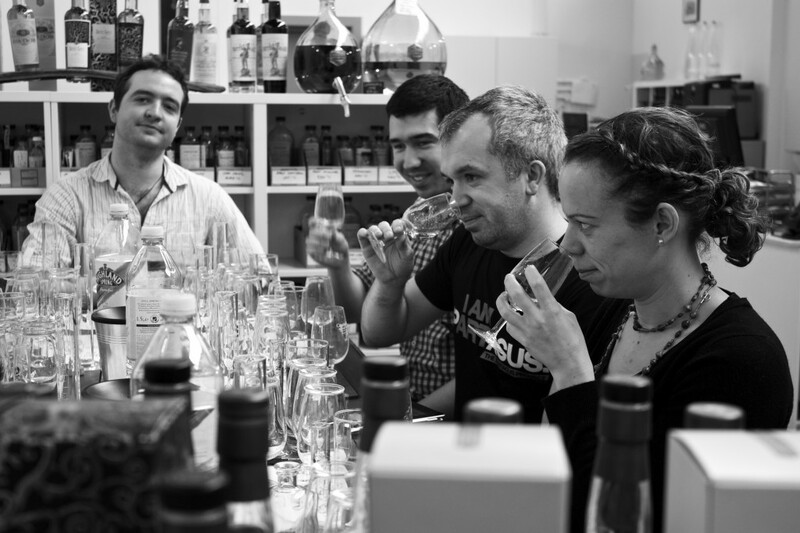 Part regular office, part experimentation lab, the surroundings got us all in the mood for having some fun! For me too, Whisky Two had some cereal notes and I decided to use this whisky as the major component on my blend. In the end, it made up 62.5% of my final blended malt. 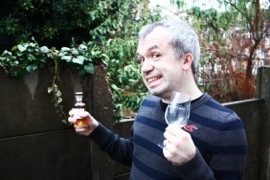 I also decided to use a significant amount of Whisky Three. I enjoyed the oak and caramel hints when nosed but also apple and leather tones on the tongue. This whisky made up 25%. My final component was Whisky Five. I did want a smoky peated edge, and the Caol Ila had it in spades! I used this Islay Classic malt sparingly (or so I thought! ), making up 12.5% of my final blend. In the spirit of Compass Box and their penchant for naming a whisky ‘exactly as it says on the tin’ al la Peat Monster, I named my woody, peaty, smoky, (subtle) blended malt, The PineAsh. My whisky needs a little water to open it up on the nose, but I was very pleased and proud of my final product! The Blending School was a great experience and it was a real luxury to have the expertise of Gregg with such great base ingredients to work with. It really opend our eyes to what a skill it is to craft such excellent whisky and we have a new found respect for the guys at Compass Box – keep up the great work and we look forward to seeing more excellent releases in 2012. Check back soon for our notes on the rest of our whisky day out in London. Tagged Blending, Compass Box, Tasting, Whisky. Well the day has finally arrived: we’re up, actually on the train and off for our first whisky tasting. In a few hours we’ll be at Compass Box HQ in Chiswick for a day of sampling and blending. First up is a tasting of the core rage of bottles which will include Hedonism and the recent award winner Great King Street. 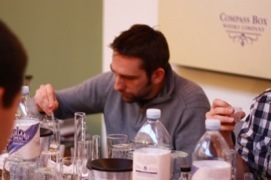 We’ll then move onto the blending school with Gregg and create our very first blend. Finally we’re finishing off with a tasting of some rare whiskies from the Compass Box collection!